Celebrating post-whole30 food freedom with charred sweet potato and brussels sprout tacos! These tacos are Whole30 compliant and serve as the perfect base to reintroduce foods back into your system. Top with cheese or black beans or serve in corn tortillas and see how you respond! If you broke down my diet into food groups, tacos would be entirely their own group. I love them. I live for them. And I eat them on the reg. To be honest, I eat tacos in some form at least one a week. Sometimes they’re in lettuce wraps. Most often I serve them in the best coconut and cassava flour tortillas. And other times, I pick up tacos al pastor from my favorite Mexican spot in my neighborhood. 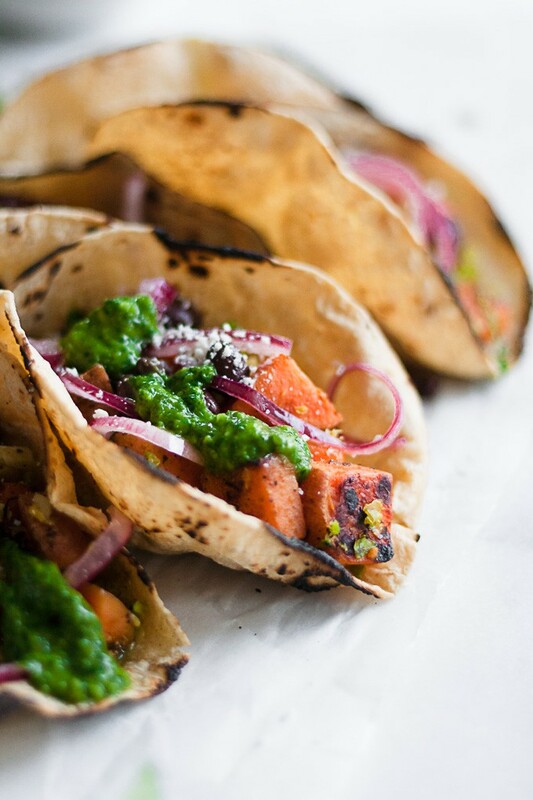 But these charred sweet potato and brussels sprout tacos are on a whole other level. There are two main reasons I wanted to share this recipe here on Hungry by Nature. As you can tell by the recipes shared and the purpose of HBN, Hungry by Nature is a paleo food blog. I first discovered the paleo diet after completing a Whole30 in January 2017 and found that the paleo diet and lifestyle made me feel amazing and benefited those with autoimmune issues. It made such a difference in my life that I knew I wanted to share my recipes with others! Since then, I have learned a lot about what foods work well and support my body and those that don’t. I feel my best when I avoid gluten, diary, some grains, processed foods, and watch my sugar intake. This means that I eat a paleo diet about 85-90% of the time and enjoy food freedom the other 10-15%. 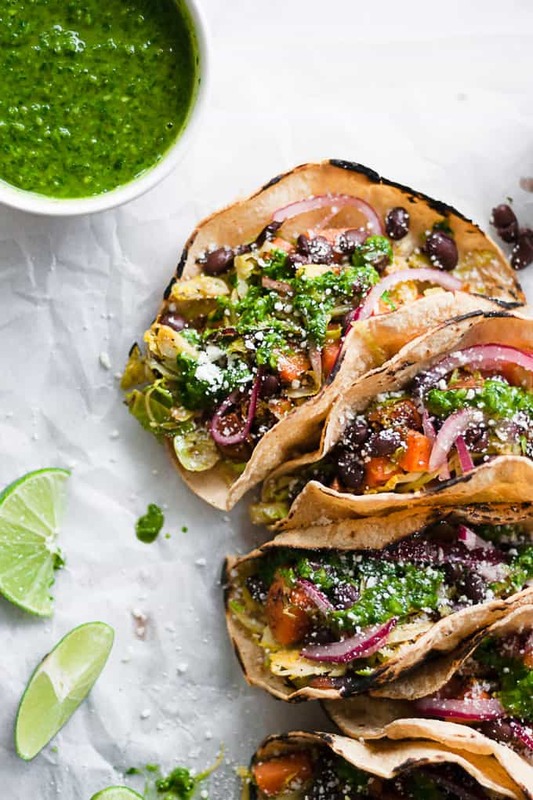 And these brussels sprout tacos are the perfect recipe for FOOD FREEDOM. The other reason that I am so excited to share these with you is because I have almost zero plant-based recipes on this site! 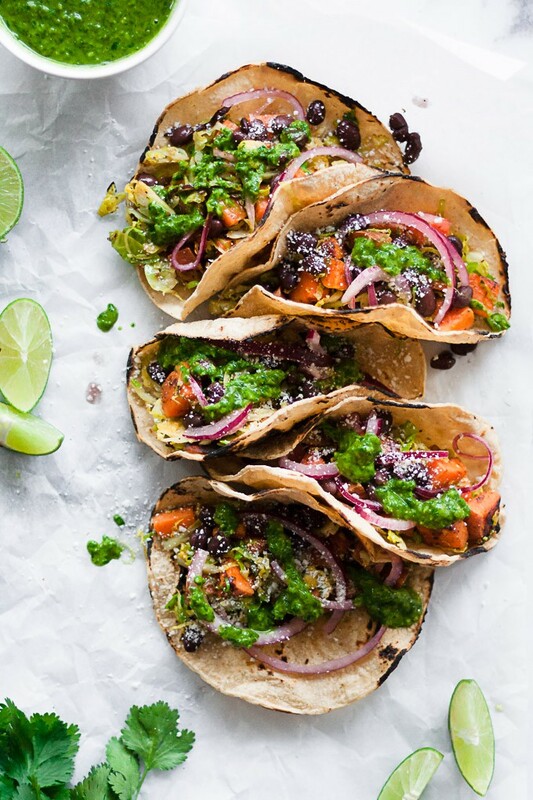 I am personally trying to increase the amount of plants I am eating and decrease the amount of meat, and I knew these charred sweet potato and brussels sprout tacos would be a hit for meat-eaters and non-meat-eaters alike! 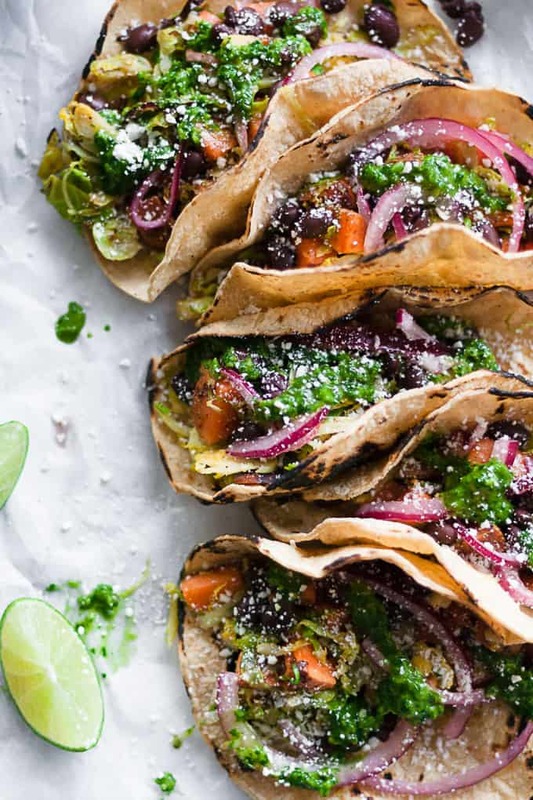 Tacos are such a great way to reintroduce foods back into your system after a Whole30 and a perfect option for food freedom because you can pick and choose how to wrap your tacos and what to serve them with depending on what works well for you! If you are reintroducing grains or know that grains work for you, serve these in corn tortillas. And if you cannot do corn, try cassava flour tortillas or serve them in lettuce wraps! If you are reintroducing legumes, add in a scoop of black or refried beans or totally omit the beans if they’re not your thing. If you are reintroducing dairy, sprinkle on a little cojita cheese or top with a scoop of greek yogurt! A great swap would be coconut yogurt or an nut-based cheese. I mean, the options are utterly endless when it comes to these tacos. And that’s no doubt why I love them so much. I also topped mine with a simple chimichurri sauce and pickled red onions and I highly suggest you do the same! 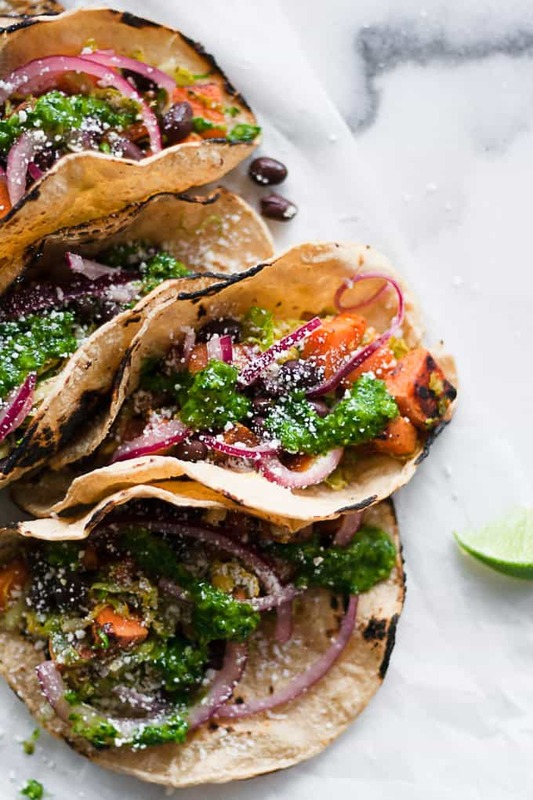 I hope these charred sweet potato and brussels sprout tacos make their way onto your table soon, whether you are reintroducing foods post-Whole30 or exploring your food freedom! If you make this recipe, remember to tag @imhungrybynature on Instagram!